Rosemary is such a long lasting, versatile herb to use in so many things and in so many ways. 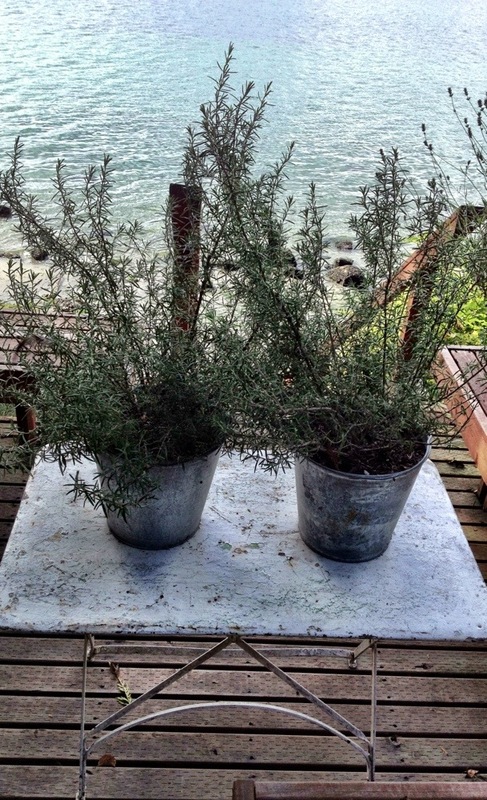 This week-end our big buckets of rosemary were shouting to be used. Sunday supper was going to be chicken on the grill. But it was also a bit of a rainy day, so we decided to cook everything else inside. This is where this big sheet pan of goodness comes in. 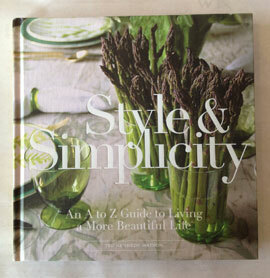 Incredibly easy but should be in everyone’s cookery arsenal for that very reason. Top it with an egg and it is great for breakfast or nestle the mixture next to a piece of chicken or a pork chop. Here goes. Oven to the magic number of 400 to preheat while you chop. 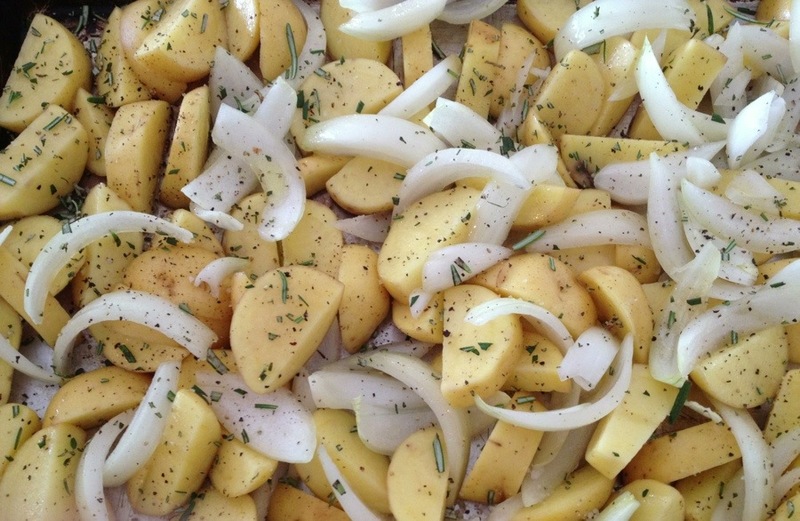 Cut up Yukon gold potatoes into small pieces, then scatter onto a baking sheet. I like to quarter smaller ones, so I sort through the bin and try and choose similar sized spuds. Next, slice up a sweet onion like a Vidalia or a Walla Walla. Mix in amongst the potatoes. Next, chop quite fine a bunch of rosemary. Make it rain over the mixture. Then do the same with a super healthy amount of fresh cracked black pepper. Then salt. Over the entire lot, drizzle extra virgin olive oil. Either with your hands or a spoon, mix all together so the oil is coating the mixture. Then into the hot oven it goes. Move around with a metal spatula or wooden spoon every 10 minutes or so to avoid sticking which also ensures even roasting. Done is when potatoes are nice and brown. Truly, so simple, but you will go back to this time and again when making meals. Enjoy!